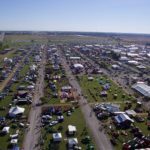 I’ve been researching and writing about agriculture drone solutions since early 2012, writes SkyLogic Research CEO & Founder and drone industry analyst Colin Snow for DroneLife.com. I recently came across this OpEd on PrecisionAg.com by author Ben D. Johnson, titled “Opinion: The Agricultural Drone War Is Over, And They Lost” and read it with great interest. Two and half years ago, our research indicated the same thing — that small drones might not be able to deliver more usable data to a farmer or provide a cost benefit over the existing image solutions available to them. Even last year I had my doubts. In our June 2016 report, The Truth about Drones in Precision Agriculture, we looked at how drones have been used as remote sensing devices in agriculture thus far, reviewed competitive and traditional approaches using incumbent technology (like satellites and manned aircraft), and discussed the opportunities and challenges posed by the technology itself. Agriculture drones have matured, and so have the sensors and analytical solutions that support them. A rising number of software vendors are targeting the agriculture space with increasingly useful solutions. And a new generation of drones is delivering much needed functionality. Head on over to DroneLife.com to read the rest of Snow’s editorial. I’m not denying that drone technology is amazing, but economics and the current FAA regulations with drones make scaling a drone operation nearly impossible outside of high value specialty crops. There are much better options in the aerial imagery space today that pencil out a lot better for both the grower and the imagery provider.